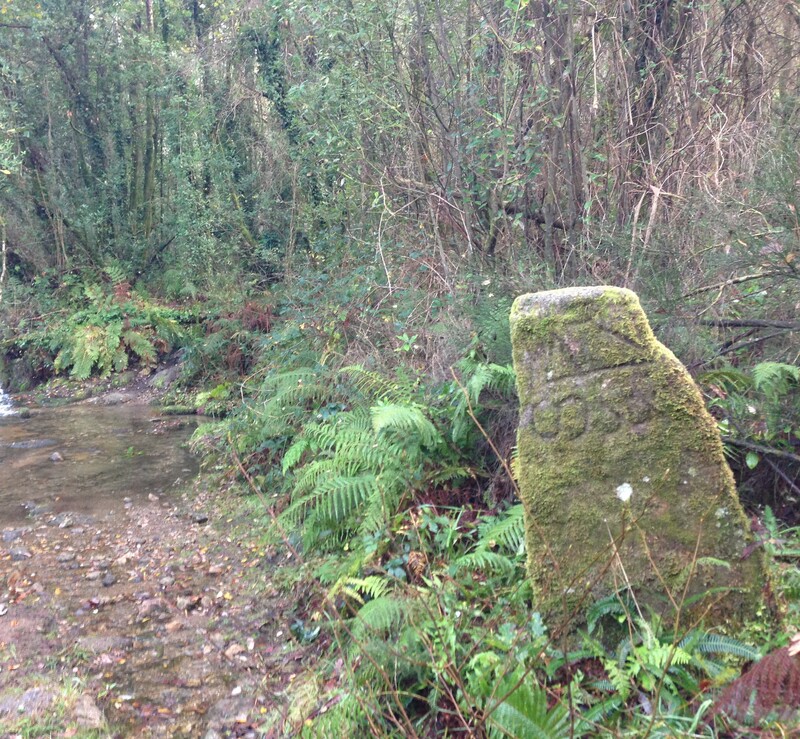 The history of the boundary stones of the Couto (preserve) of Lampai is proof that in Galicia, sometimes, history appears where one least expects it. These three phenomenal stony landmarks were stuck almost a thousand years ago on a hill near Santiago de Compostela and remained there, forgotten at least in recent times, next to a path that is no longer used and in some parts that is barely identifiable. Even today we do not know very well why an emperor ordered them to be put in the site they occupy. The stones of Couto de Lampai are three, although it is very likely that there was originally a fourth one. They are located halfway between the parishes of Cruces, Padrón and Lampai, in Teo, and are fairly easy to access, or at least view. Two are located near the beginning and end of the DP-6502 road. The road connects Porta dos Mariños (“the gate of the seamen, intriguing and beautiful place name) with Lampai, a village that has a church of Romanesque origin, the reminder of a small medieval monastery. The third landmark is very close to the AP-9 motorway passing through A Escravitude, and is even visible from the road, on top of an old abandoned quarry. They are large stones, approximately one and a half meters high, with inscriptions in Gothic script carefully carved on their sides. The stonecutter wrote a text in Latin that art historians Jorge and Xoán Guitián, authors of a work on the subject, translate as “In the year 1156 on the first day of September with the authority of the Emperor and all the assistants I put this stone”. But what emperor are the stones referring to? This is Alfonso VII, who then, in the middle of the Reconquest of the Iberian Peninsula from the Muslims, called himself “Emperor of Hispania”. The historians used as reference a fundamental work to know the past of Galicia, the monumental History of the Church of Santiago de Compostela, by Antonio López Ferreiro, where they confirmed that the Cathedral archives preserve documents which report that king delivering a large amount of land to a plebeian, Sancho Eanes, medieval contracts which were signed by many noblemen who certified their authenticity. The stones of Lampai were, therefore, beautiful testimonies of the boundaries of such a great imperial gift. We probably will never know who Sancho Eanes was or what he did to make himself worthy of such a great reward. But we can enjoy the view of the boundary stones, beautifully carved and located next to a stream or in the middle of a meadow, safeguarding a path through which only the most curious travellers have passed in decades.